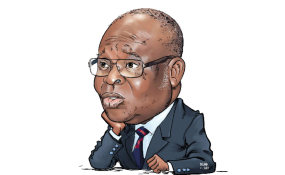 Abuja — The Code of Conduct Tribunal, CCT, sitting in Abuja, yesterday, ordered key security agencies to arrest the suspended Chief Justice of Nigeria, CJN, Justice Walter Onnoghen, and produce him for trial tomorrow. The Danladi Umar-led panel gave the order on a day the suspended CJN, who was accused of failing to declare his assets as prescribed by the law, for the fourth time, refused to appear before the tribunal to enter his plea to the six-count charge the Federal Government preferred against him. The federal government had in the charge, marked CCT/01/2019, also alleged that Onnoghen operated foreign bank accounts in contravention of the code of conduct for public officials. Specifically, the CCT Chairman, Umar, directed the Inspector General of Police and the Director General of the Department of State Service, DSS, to execute the arrest warrant to ensure that Justice Onnoghen was brought before the tribunal on the adjourned date. The CCT boss delivered an already prepared ruling, immediately after the prosecution counsel, Mr. Aliyu Umar, SAN, and Onnoghen's lawyer, Chief Awomolo Adegboyega, SAN, concluded their argument on the legal propriety of FG's application for a bench warrant to be issued against the suspended CJN. It will be recalled that Vanguard had on February 3, exclusively reported that the government would apply for Onnoghen's arrest. At the resumed proceeding, government lawyer, Umar, relied on section 6 (1) of the CCT Practice Direction and section 396 of the Administration of Criminal Justice Act, ACJA, 2015, to apply for a bench warrant against the defendant. He contended that the criminal law made it imperative that the defendant must be present in court before any application could be heard with respect to the charge against him. He noted that rather than honour the appearance summon earlier issued against him, the suspended CJN decided to stay afar to challenge the jurisdiction of the tribunal to try him. "My lord, may I draw your attention and that of honorable members to the fact that the defendant is not in court today. "When a summon is issued for a defendant to appear either at the beginning or at any time during trial, it must be obeyed until it is vacated. "Our position is that when the defendant appears, if he likes, he can say I have an application challenging jurisdiction of the tribunal and therefore I will not take my plea. But at that point, he must be there inside the dock. "The case of Mohammed Abacha which the defendant is relying upon will not help him because in that case, Mohammed was in court but refused to enter his plea to the charge. "The point is that even if this defendant is found guilty of the charge, he can only be asked to vacate the office, he cannot be sent to prison by this tribunal. "We submit that it is his right to refuse to enter his plea to the charge, but it is not his right to refuse to appear in court," federal government's lawyer contended. Besides, the prosecution stressed that he had on past proceedings on the matter, refrained from applying for Onnoghen's arrest, due to the sensitivity of the position he occupied as the CJN. The prosecution said he was, however, constrained to apply for a bench warrant due to Onnoghen's consistent refusal to appear for arraignment. "In view of these circumstances, I hereby humbly apply for a warrant of arrest against the defendant", Umar stated. However, counsel Chief Awolowo, SAN, who led 46 other lawyers that appeared for the suspended CJN, urged the tribunal to refuse the application and proceed with hearing the motion challenging the jurisdiction of the CCT to try the defendant, as well as the one querying the legal competence of the charge. Awomolo relied on sections 35 and 36 of the 1999 Constitution, as amended, to argue that the tribunal ought to determine the issue of its integrity and impartiality, before proceeding with the trial. Besides, he argued that the presence of the defendant was not mandatory during hearing of an objection to the charge, adding that the tribunal had earlier adjourned to hear all the pending motions. "I urge the honourable members of the tribunal to refuse this application for several reasons. The defendant is entitled to fair trial and fair hearing and the constitution has mandated that he must be afforded every facility to establish his innocence. "A criminal trial is a serious matter that affects the liberty of a citizen. The application that the tribunal should issue a bench warrant amount to persecution by the prosecution. The tribunal is urged to preserve the defendant's rights. "Once the issue of jurisdiction is raised, it is in the interest of justice for the court to hands-off the matter and deterimine the issue before proceeding to grant any application," he said. Awomolo noted that contrary to the position of the law, the tribunal, on January 23, heard and granted an ex-parte application that led to Onnoghen's suspension by President Muhammadu Buhari. "The defendant was not there when the motion was heard and the ex-parte order granted, which the President obeyed and removed the defendant on January 25. "If the defendant was not there when that motion was granted, why is the prosecution now insisting on the presence of the defendant before any motion can be heard? "What is good for the goose is also good for the gander. What we are saying is that the independence of the tribunal is very key. It is within your powers to grant our request. Give us a chance to demonstrate why you should favour us. We are asking for your benevolence so that the defendant is not made to pass through a trial he is not supposed to face. "The application for a bench warrant is premature, it is unwarranted and it is not consistent with the ACJA. "We are praying that you exercise your powers, your magnanimity and your humaneness. It is not out of disrespect that he is not here. But the law says he need not be here at this stage of the proceeding", Awomolo pleaded. Before Awomolo could assume his seat, CCT boss pulled out a two-paged ruling from a file and ordered security agencies to "apprehend" the defendant and produce him for arraignment on Friday. Relying on several decided cases, Umar held that Onnoghen must first submit to the jurisdiction of the tribunal before challenging its powers to try him. "Having given the Defendant the opportunity to surrender himself today, the tribunal has no option other than to use all the mechanism at its disposal to compel the attendance of the Accused/Defendant in court. "Therefore, in the circumstance, the tribunal hereby issues a bench warrant to the Inspector General of Police and on the Director General of the state security service to apprehend the accused/defendant and bring him to the tribunal on Friday for arraignment", he held. The CCT boss, who was visibly angry, rose immediately he gave the other, thereby foreclosing other members of the panel from giving their own opinion on federal government's request. "I must see him in the dock. We are not here to play, we are here to work! ", the CCT Chairman fumed as he stormed out of the tribunal. In a related development, the Abuja Division of the Court of Appeal, yesterday, fixed February 25 to hear an appeal Onnnoghen lodged against his trial. The development came on a day the National Judicial Council, NJC, said it was satisfied that allegations against Onnoghen and the Acting CJN, Justice Tanko Muhammad, deserved to be investigated. The Council which took the position at the end of its emergency meeting in Abuja, said it has constituted a five-man investigation panel to be headed by a retired Justice of the Supreme Court, Justice S. A. Akintan. It said the probe panel was constituted pursuant to Rule 20 (1) of the Judicial Discipline Regulations. A statement signed by the Director of Information at the NJC, Mr. Soji Oye, revealed that the legal body accepted result of the preliminary assessment of allegations against both Justices Onnoghen and Muhammad, and arrived at the conclusion "that the petitions were worthy of further investigation and should not be terminated under Rule 17 of the Judicial Discipline Regulations of the Council." The Council said it had also directed the Acting CJN to within seven days, respond to a fresh petition that was lodged against him by the Action People's Party, APP. "NJC Constitutes a five-man Committee to investigate petitions written against Hon. Mr. Justice W. S. N. Onnoghen, GCON and Hon. Mr. Justice I. T. Muhammad, CFR in line with Rule 20 (1) of its Regulations. "Forwards new petition written against Hon. Mr. Justice I. T. Muhammad, CFR by Action People's Party (APP) for his response within seven working days. "In continuation of its Emergency Meeting, the National Judicial Council accepted the result of the preliminary assessment of the petitions against Hon. Mr. Justice W. S. N. Onnoghen, GCON and Hon. Mr. Justice I. T. Muhammad, CFR that the petitions were worthy of further investigation and should not be terminated under Rule 17 of the Judicial Discipline Regulations of the Council. "Consequently, the council constituted a five-member Investigation Committee pursuant to Rule 20 (1) of the Judicial Discipline Regulations under the Chairmanship of Hon. Mr. Justice S. A. Akintan, CON, a retired Justice of the Supreme Court of Nigeria. "A new petition against Hon. Mr. Justice I. T. Muhammad, CFR, by the Action People's Party (APP) was referred to the Hon. Mr. Justice for his comments within an abridged 7-days. "Council directed the Investigation Committee to work expeditiously, determine all the petitions and responses and report to Council for a final decision", the statement read. Reacting to the arrest order, former president of Nigeria Bar Association, NBA, Dr. Olisa Agbakoba, said: "I am shocked that the Code of Conduct Tribunal will issue a Bench warrant for the arrest of Hon. Justice Walter Onnogen, knowing full well that its jurisdiction to try the case has been challenged and the Application on challenge is on the CCT docket, and no hearing has occurred. "The CCT is aware that there is now before the National Judicial Council a petition against Justice Walter Onnogen on exactly the same charges at the CCT. "The CCT ought to await the outcome of the pending matters in the NJC, Appeal Court and Federal High Court. The conduct of the CCT subverts the Rule of Law and due process."